Nearside Front Door Speaker. Juke Acenta (MK1 Facelift (F15)) (ABS). 5 Door SUV. Electric Front & Rear Windows, Electric Door/Wing Mirrors. The table below contains further information. Vehicle Photographs & Guide. Offside Front Door Speaker. Qashqai Acenta DCI (MK1 FACELIFT (J10)) (ABS). Exterior Colour Code. 5 Door SUV. Electric Front & Rear Windows, Electric Folding Door/Wing Mirrors. The table below contains further information. NISSAN MICRA K14 2017- PASSENGER LEFT FRONT DOOR BOSE SPEAKER 28156-5FA2A VIEW ALL IMAGES FOR ITEM CONDITION - PLEASE ENSURE YOU ARE 100% HAPPY WITH THE ITEM CONDITION PRIOR TO PURCHASE *PLEASE NOTE*: THE COMPATIBILITY TABLE IS FOR REFERENCE ONLY AND NOT A GUARANTEE THE PART WILL FIT YOUR VEHICLE. IF YOU'RE IN DOUBT SPEAK WITH YOUR MECHANIC AND COMPARE THE PART NUMBER (WHERE APPLICABLE) OR CONTACT US BEFORE YOU ORDER TO AVOID UNNECESSARY RETURNS IN THE INSTANCE OF A RETURN - PLEASE BE AWARE ALL OUR ITEMS HAVE THIER OWN SIGNATURE MARKINGS - PLEASE ENSURE ONLY THE ORIGINAL PART IS RETURNED AS WE WILL BE ABLE TO IDENTIFY ANY PART THAT IS NOT OURS. NISSAN MICRA K12. 1.0ltr 16V 3 door. Rear Speaker. From A 2004 04 Reg. Qashqai Acenta DCI (MK1 FACELIFT (J10)) (ABS). Front Dashboard Speaker Tweeter. Electric Front & Rear Windows, Electric Folding Door/Wing Mirrors. About MGV Auto Spares Ltd. Our Opening Hours are:-. Engine Size. Nearside Rear Door Speaker. Qashqai 2 N-Tec DCI (MK1 FACELIFT (J10)) (ABS). 5 Door SUV. The table below contains further information. Vehicle Photographs & Guide. Our Opening Hours are:-. Engine Size. O/S (drivers side) Tweeter Speaker. From A 2002 02 Reg. 2.0ltr TDDI. In Good Condition. Part number: LH28177JD. We are Breaking a2008 Nissan Qashqai Acenta 2WD J10 (Pre-Facelift). Removed from the car below but may fit other models/years. Paint Code: BV4. All parts are used but fully tested and in full working order before removal. Offside Front Door Speaker. Qashqai 2 N-Tec DCI (MK1 FACELIFT (J10)) (ABS). Exterior Colour Code. 5 Door SUV. The table below contains further information. Manual 6 Speed. This item is a used vehicle part and as such may have signs of general wear/handling. Offside Rear Door Speaker. Qashqai 2 N-Tec DCI (MK1 FACELIFT (J10)) (ABS). Exterior Colour Code. 5 Door SUV. The table below contains further information. Manual 6 Speed. This item is a used vehicle part and as such may have signs of general wear/handling. 2.2ltr DI 5dr. N/S (passengers side) Tweeter Speaker. NISSAN X TRAIL SPORT 4x4. From A 2003 03 Reg. In Good Condition. Nearside Front Door Speaker. Qashqai 2 N-Tec DCI (MK1 FACELIFT (J10)) (ABS). 5 Door SUV. The table below contains further information. Vehicle Photographs & Guide. Our Opening Hours are:-. 06.02.19 BT61 XOH. 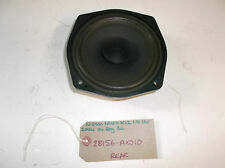 Pair of 300zx rear speaker covers in usual condition, would benefit from a good clean. Help us keep your car going for longer! PASSENGER SIDE LEFT NSF FRONT DOOR SPEAKER. Offside Top Dashboard Tweeter. Qashqai 2 N-Tec DCI (MK1 FACELIFT (J10)) (ABS). Exterior Colour Code. Manual 6 Speed. Interior Trim Code. This item is a used vehicle part and as such may have signs of general wear/handling. MANUFACTURERS PART NUMBER: 28156EE500 40V. 2010-2016 NISSAN MICRA K13 1.2 PETROL 5 SPEED MANUAL 5 DOOR HATCHBACK DOOR SPEAKER. We will describe our products the best we can and list any defects. Make sure the part you are purchasing is the correct one as we are not responsible for part incompatibility. Part Number:- 28156BR00A. NISSAN QASHQAI J11 13-18 DRIVER PASSENGER LEFT RIGHT FRONT REAR DOOR SPEAKER. We are Breaking a 2017 Nissan Qashqai N-Vision Dig-t J11 MK2 (Facelift). Shelf location: SPEAKER. NISSAN MICRA MK5 K14 '17- PASSENGER LEFT FRONT DOOR SPEAKER 28156-BR00A 4Ohm 20W VIEW ALL IMAGES FOR ITEM CONDITION - PLEASE ENSURE YOU ARE 100% HAPPY WITH THE ITEM CONDITION PRIOR TO PURCHASE *PLEASE NOTE*: THE COMPATIBILITY TABLE IS FOR REFERENCE ONLY AND NOT A GUARANTEE THE PART WILL FIT YOUR VEHICLE. 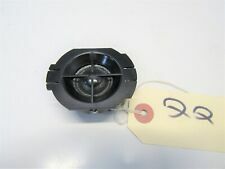 IF YOU'RE IN DOUBT SPEAK WITH YOUR MECHANIC AND COMPARE THE PART NUMBER (WHERE APPLICABLE) OR CONTACT US BEFORE YOU ORDER TO AVOID UNNECESSARY RETURNS IN THE INSTANCE OF A RETURN - PLEASE BE AWARE ALL OUR ITEMS HAVE THIER OWN SIGNATURE MARKINGS - PLEASE ENSURE ONLY THE ORIGINAL PART IS RETURNED AS WE WILL BE ABLE TO IDENTIFY ANY PART THAT IS NOT OURS. Offside Rear Door Speaker. Qashqai Acenta (MK1 Pre-Facelift (J10)) (ABS). Exterior Colour Code. Electric Front & Rear Windows, Electric Heated Power Folding Door/Wing Mirrors. 5 Door SUV. The table below contains further information. Offside Dashboard Speaker/Tweeter. Qashqai Acenta DCI (Mk1 FL (J10)) (ABS). Electric Front & Rear Windows/Electric Wing Mirrors. About MGV Auto Spares Ltd. Our Opening Hours are:-. Engine Size. CASH ON COLLECTION. Part number:RH28176JD. We are Breaking a2008 Nissan Qashqai Acenta 2WD J10 (Pre-Facelift). Removed from the car below but may fit other models/years. Paint Code: BV4. All parts are used but fully tested and in full working order before removal. Nearside Front Door Speaker. Qashqai DCI Visia (MK2 (J11) Pre-Facelift) (ABS). 5 Door SUV. The table below contains further information. Vehicle Photographs & Guide. Our Opening Hours are:-. 07.08.18 YH16 XDW. Suitable for 2016 face-lifted models and onwards. Nissan Juke passenger side rear door speaker. 2.2ltr DI 5dr. NISSAN X TRAIL SPORT 4x4. Front Door Speaker. From A 2003 03 Reg. In Good Condition. B70 6AP Area. Collection can be made from Birmingham. Model: QASHQAI DIESEL HATCHBACK - 1.5 dCi 5dr (5 Seater Not 2). Manufacturer: NISSAN. Year: 2013. Wide range of new and used nissan car parts available at best prices. We are unable to cover any labour costs. Help us keep your car going for longer! DRIVER SIDE RIGHT FRONT INTERIOR DOOR SPEAKER. Working Order. We have a wide range of vehicles and parts on site. Part numbers are provided to help identify the part and its compability. Need it fast?. No Problem. would like you to know that we will do all we can to rectify any problems. PASSENGER LEFT FRONT AND REAR SPEAKER May Have Minor Visible Usage Marks On It And May Need Cleaning. ref RIFILL MA2338 ma70 ma1707. We are always happy to assist you in any way we can. AB30-38, AB44-56, BT, FK17-21, G83, GY, HS 1-9, IM, IV,JE, KA 27-28, KW, PA 20-99, PH 15-32, PH 49-99, TR 21-25, ZE. NISSAN MICRA. Removed From:-2004 Nissan Micra 1.0 3 DOOR. WINDOW REGULATOR MOTOR. NEAR SIDE FRONT PASSENGER SIDE FRONT. GLASS AND BODY PANELS. ALL MAJOR CREDIT AND DEBIT CARDS ACCEPTED. HIGHLANDS, HIGHLANDS AND ISELANDS OF. Model: QASHQAI DIESEL HATCHBACK - 1.5 dCi 5dr (5 Seater Not 2). Manufacturer: NISSAN. Body & Exhaust. Year: 2013. Wide range of new and used nissan car parts available at best prices. Any painted parts sold will require spraying unless stated otherwise. 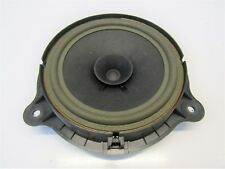 NISSAN MICRA MK5 K14 2017- DOOR SPEAKER 28156BR00A. You are a valued customer and I appreciate your business. However, I would ask That you please read the description of this item carefully.​ (ForOfficeUseRefMA2639). Is This The Right Part For Your Vehicle?​ Before Committing to " Buy it now ", It Is Buyer's Responsibility : To Double Check His Own Part Visually. To Ensure The Part Is Right And Will Fit His Car. And Do not Forget to Provide Your Contact Number At Checkout. Please Contact Us, Before Leaving: Negative Or Neutral Feedback And Bad (Five Star) Ratings​​. Nearside Front Door Speaker. Qashqai 2 Tekna DCI (MK1 Pre-Facelift (J10)) (ABS). 5 Door SUV. Electric Front & Rear Windows, Electric Power Folding Door/Wing Mirrors. The table below contains further information.